network with DRK-12 awardees, NSF program directors, and other early career scholars. Nominations for the 2020 Postdoc Cohort will open in the winter of 2020. 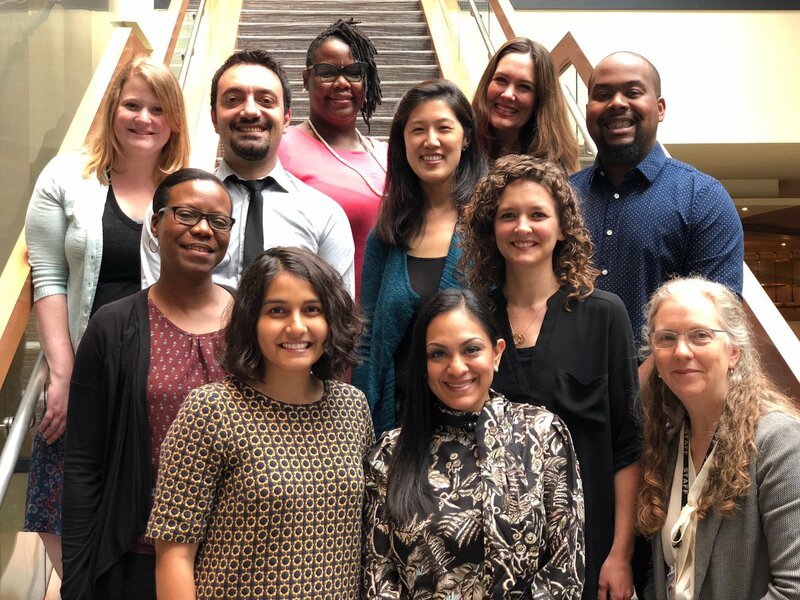 In 2018 CADRE selected ten postdocs to attend the DRK-12 PI Meeting and participate in capacity-building activities for early career researchers. At the PI Meeting, these postdocs had the opportunity to participate in topical sessions, network with current DRK-12 awardees, and meet NSF program directors. Together with the CADRE Fellows, the postdocs learned about NSF proposal development and participated in a mock review led by NSF Program Director Rob Ochsendorf. Postdocs also explored various career pathways in STEM education research in conversation with a panel of DRK–12 PIs from academic and non-academic institutions. Learn more about the postdoc cohort. Postdocs attending the meeting offer their perspective on the theme and key sessions.